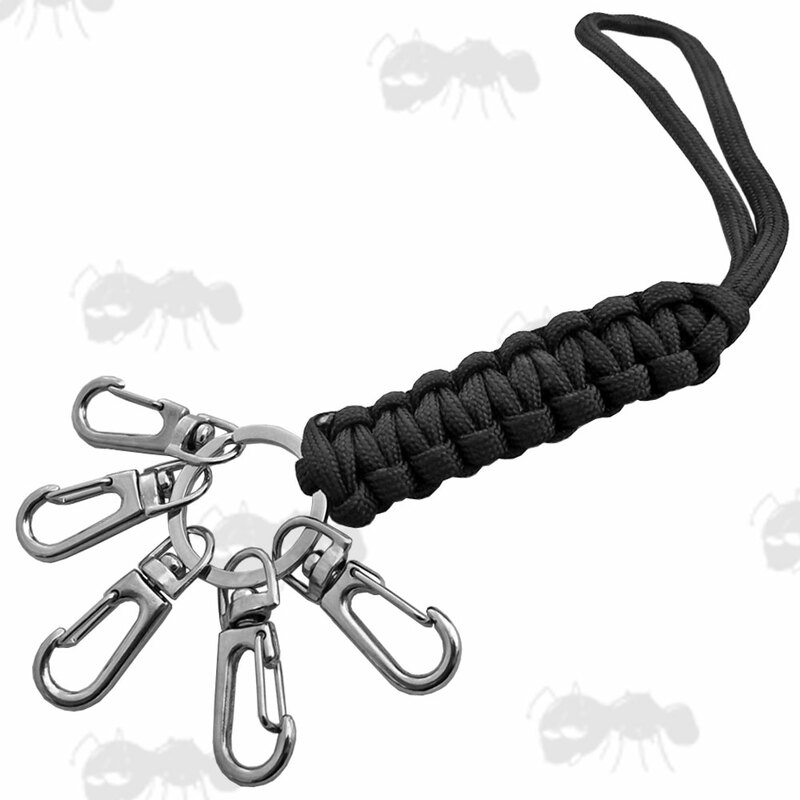 Next > Tactical Lanyard Keychain with Clips. 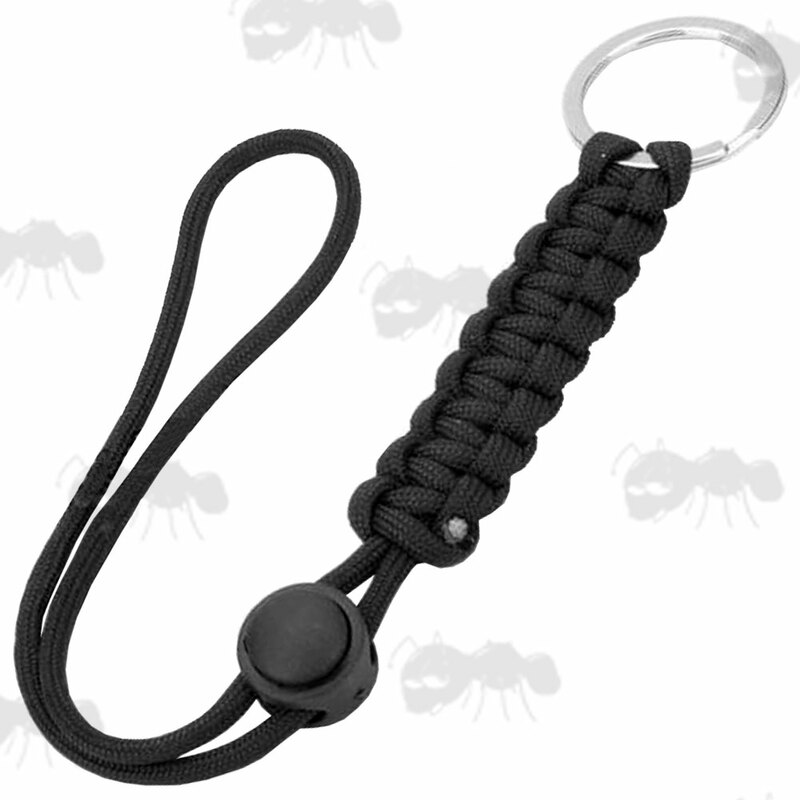 Hand woven keychain made of high-strength paracord. Adds that extra something to every day items like keys, zippers, phones, knives, cameras etc. 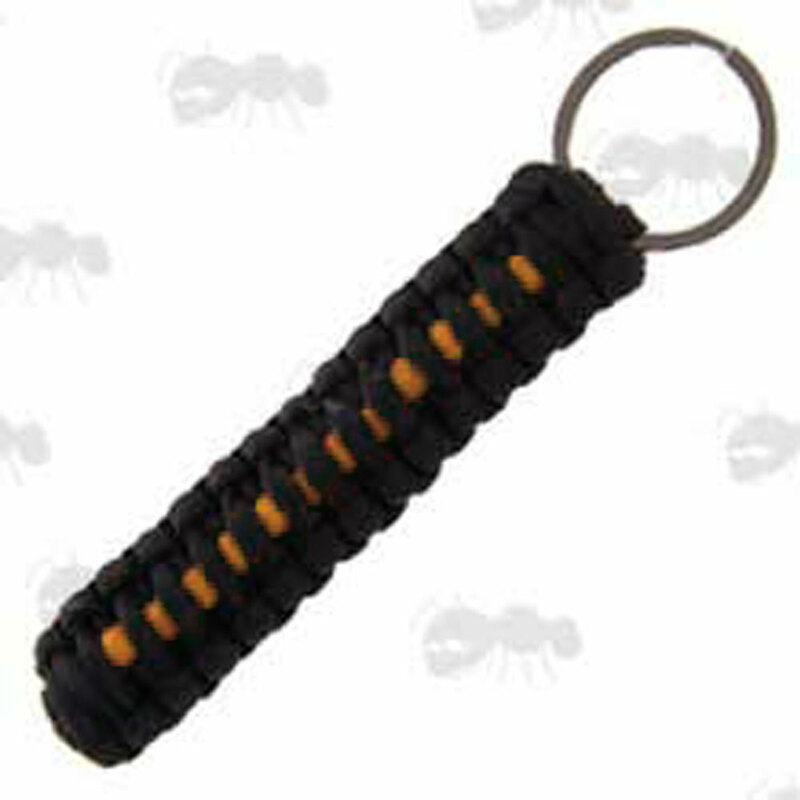 It can be unwound in survival situations to produce approximately 6 feet of usable survival cord. It can be used for shelter building, splint building, spear lashing, building animal snares and many other tasks. Next > Keychain With Toggle. Fitted with keyring and five swivelling snap clips. 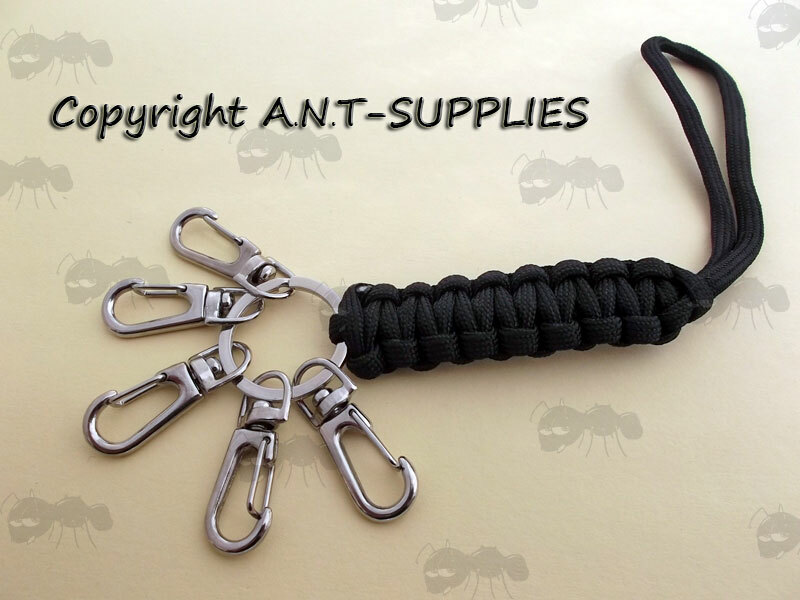 Also available ~ Plain square weave lanyards and Paracord snap clips. 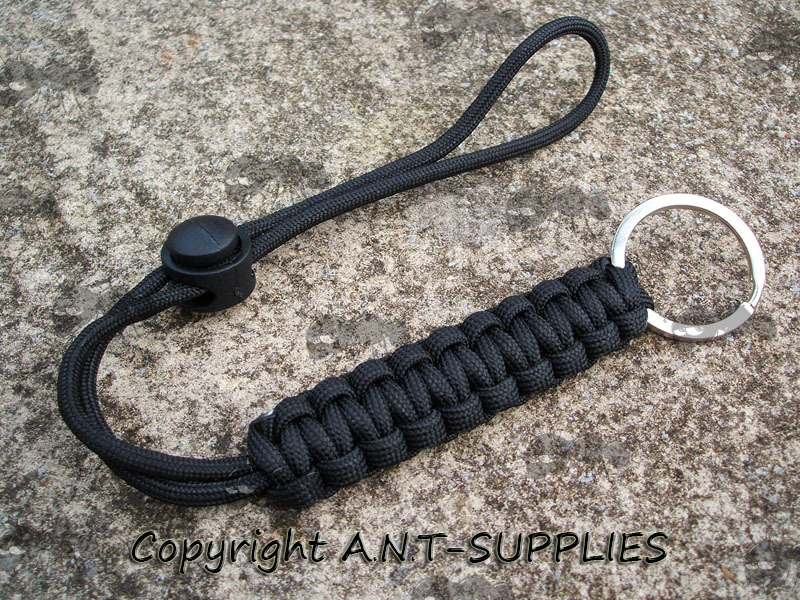 Fitted with keyring and toggle. 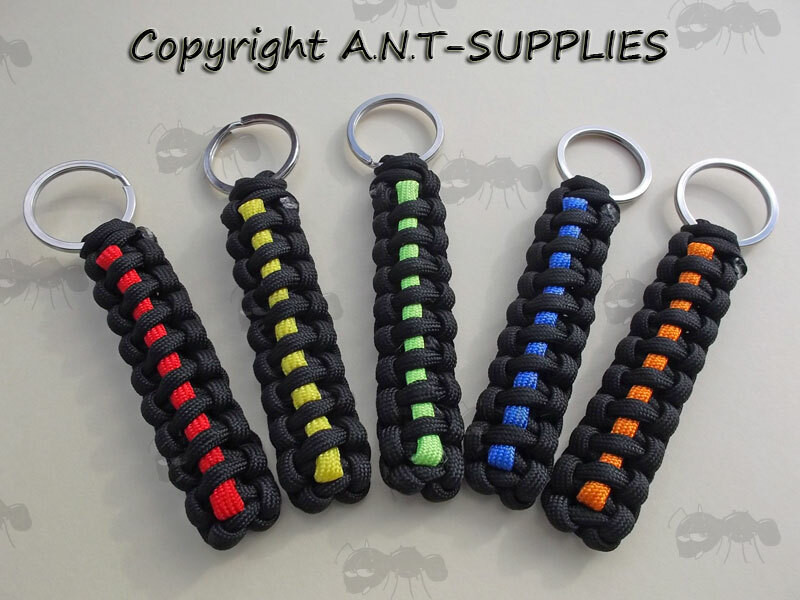 Also available ~ Split Keyrings.